Can you tell I’m psyched for Beautycounter Holiday?? So I introduced you to the holiday line Tuesday (check it out here!) and it just keeps getting better. With 18 new sets and 10 BRAND NEW PRODUCTS this is the coolest launch I’ve been part of to date. The eyeliner is amazing! Another thing I really love? A lot of these sets can be broken up and gifted to all those folks that surprise you- the coworker that gave you a cute little gift and you have nothing planned? Hand cream to the rescue! Teacher? Split up the mask set (and keep the awesome brush for yourself…). All these stand alone, or add a split of champagne or box of chocolates and you’ve done a stand up job gift giving. Why give the gift of safer beauty? You can’t afford not to. Why Beautycounter? Read the link to dive deep, or believe me when I say we make amazing products that exceed the highest standards of safety. 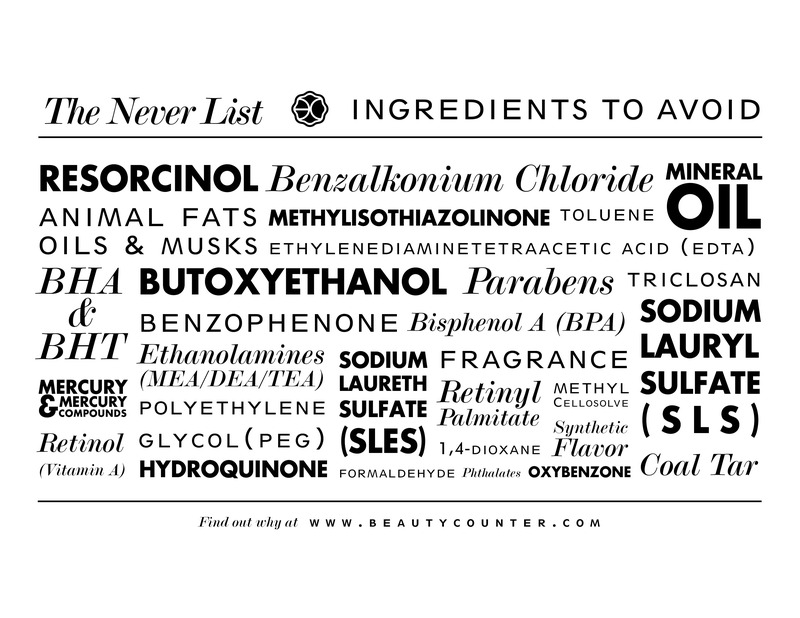 These are products we use every day- the small exposures to carcinogens and endocrine system disruptors (mimicking your hormones and making all sorts of things go out of wack) adds up over time and cause major harm. You eat well, you exercise, you absorb potentially harmful chemicals through your largest organ day in and day out? Which of these doesn’t fit? So this holiday season (Thanksgiving too!) give the gift of safer beauty- head to Beautycounter.com/katherinemaclauchlan to find something for everyone- but hurry- sets this amazing are likely to sell out fast!